The ACE TESOL Certificate course is specifically designed to provide you with the tools, strategies, skills and knowledge to be successful teaching the English language. From Canada’s leading provider of English language teacher training, the ACE TESOL Certificate has graduated English language teachers from around the world since 2001. The next course starts in June and runs for 8 weeks part-time. For information contact our partner in Iran Neda Ahmadi at [email protected] or telephone: 00989128057580. Why choose the ACE TESOL Certificate course? 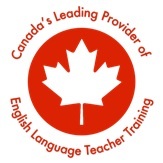 Obtain an affordable globally-recognized Canadian English language teaching credential from Canada’s leading provider of English language teacher training. 100 hours of classroom instruction OR 75 hours of online instruction and 25 hours of classroom instruction. A 20-hour practicum with volunteer students (a 10-hour practicum option is also available). A strong focus on practical teaching skills based upon the most current teaching theory and methodologies. Learn through pair work, small group work, teaching demonstrations and discussions. Learn from experienced, energetic and qualified trainers. Increase your self-confidence as a teacher. Improve your communication and presentation skills. Have an opportunity to practice new teaching techniques in a teaching in a collegial environment. Increase your marketability as an English language teacher, giving you a more competitive edge in the job market. A level of education allowing for entry into your country’s higher education system. An undergraduate degree (a Bachelor’s degree) in any subject matter is highly recommended. * IMPORTANT NOTE: You can enroll in the ACE TESOL Certificate without demonstrating the above English language proficiency, however, no allowances will be made in the course requirements and standards for students who have not demonstrated the above English language proficiency. It is each candidate’s responsibility to ensure that the required English language proficiency has been established. The admissions process may also include an interview and a grammar test. You can test your English grammar by taking the ACE TESOL Certificate Candidate Grammar Test. At the end of the test, you will be shown which questions you answered incorrectly as well as links to webpages containing corresponding study material for the concepts being tested. It is your responsibility to study the concepts you are not familiar with prior to the start of the ACE TESOL Certificate course. Practicums are conducted in real adult English language classes. There are two practicum options: a 20-hour practicum and a 10-hour practicum. In the 20-hour practicum, students complete 10 hours of observation and 10 hours of supervised teaching. In the 10-hour practicum, students complete 6 hours of observation and 4 hours assisting an English language teacher. Language education professionals can earn CEUs for completing the ACE TESOL Certificate. The international standard for CEUs is one CEU for every 10 hours of professional development, therefore participants can earn 12 CEUs for successfully completing the course with the 20-hr practicum and 11 CEUs for successfully completing the course with the 10-hr practicum. Please note that this is a general guideline and CEU standards may vary from one teaching context to the next. It is your responsibility to check the CEU requirements for your specific teaching context.